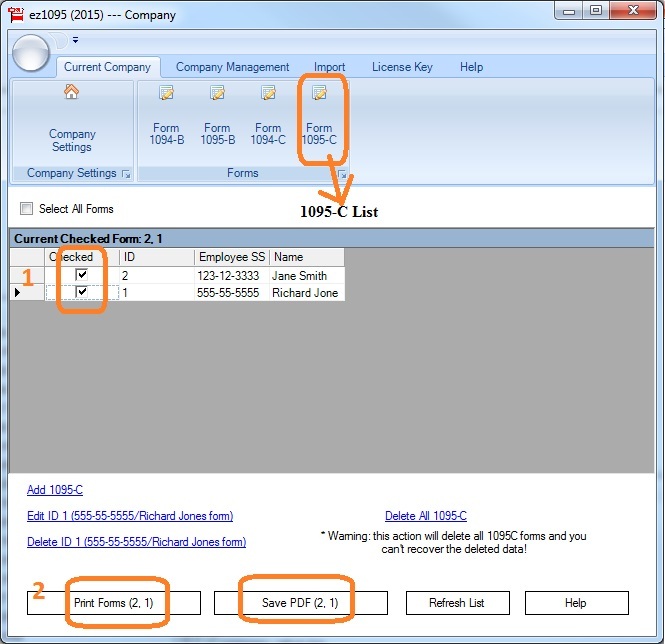 ez1095 software makes it easy to print tax form 1095 and 1094. 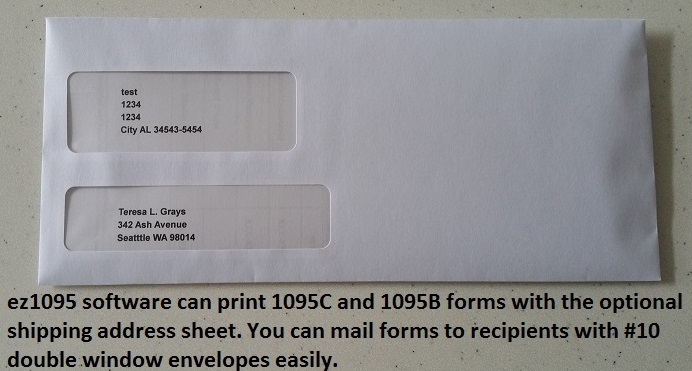 Here is the step by step guide to print form 1095-C and 1094-C.
Preprinted 1095 and 1094 forms are not necessary! Applicable Large Employers (ALE), generally employers with 50 or more full-time employees (including full-time equivalent employees) in the previous year, must file one or more Forms 1094-C (including a Form 1094-C designated as the Authoritative Transmittal, whether or not filing multiple Forms 1094-C), and must file a Form 1095-C for each employee who was a full-time employee of the employer for any month of the calendar year. Generally, the employer is required to furnish a copy of the Form 1095-C (or a substitute form) to the employee. 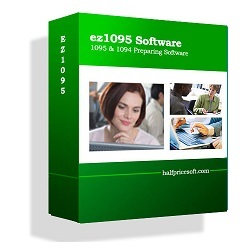 If you have not installed ez1095 software, you need to download and install it first. 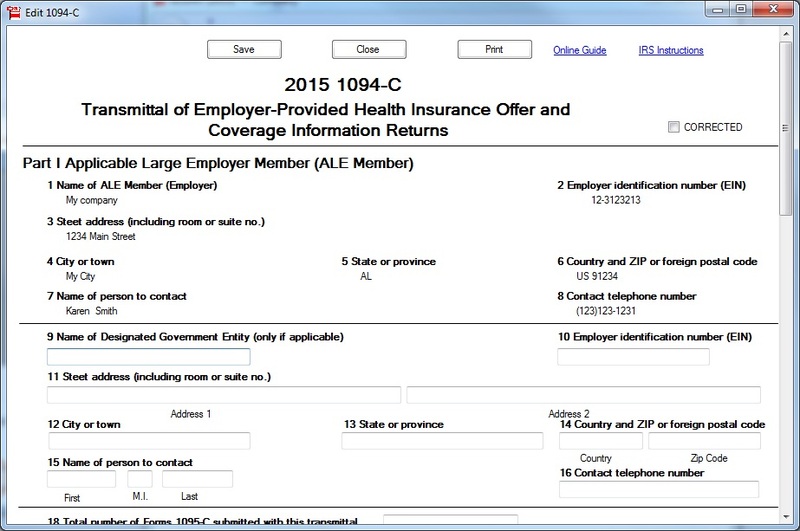 ez1095 software can prepare, print and e-file forms 1095-B, 1094-B, 1095-C and 1094-C ACA forms. You are welcome to download the trial version for free, with no registration needed and no obligation. ez1095 2018 is available for 2019 tax season! 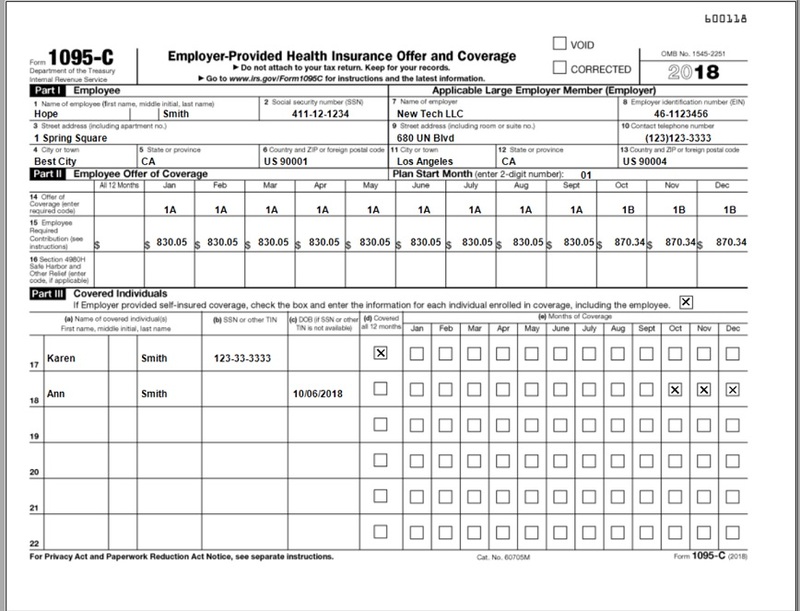 This ACA form 1095 printing software is compatible with Windows 10, 8.1, 8, 7, Vista and other Windows system, 32-bit or 64-bit. After you installed the ez1095 software, you will see a new shortcut created on desktop. 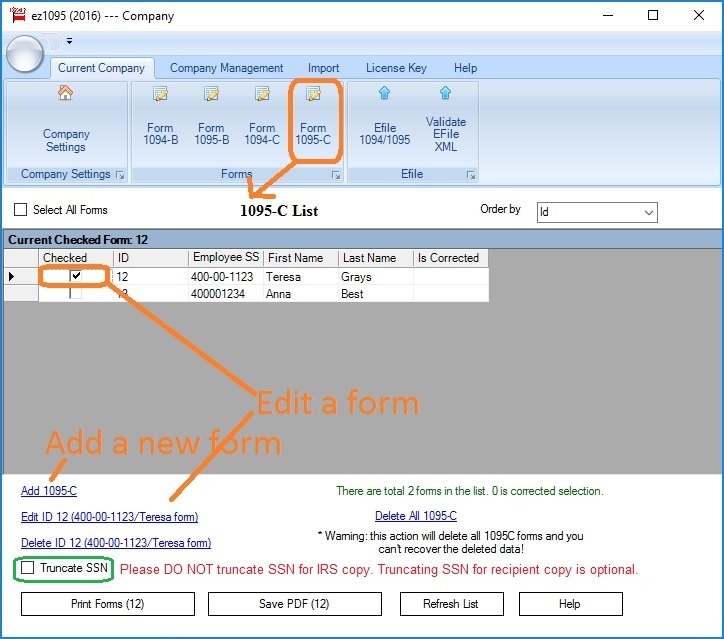 You can double click this shortcut to start ez1095 software. 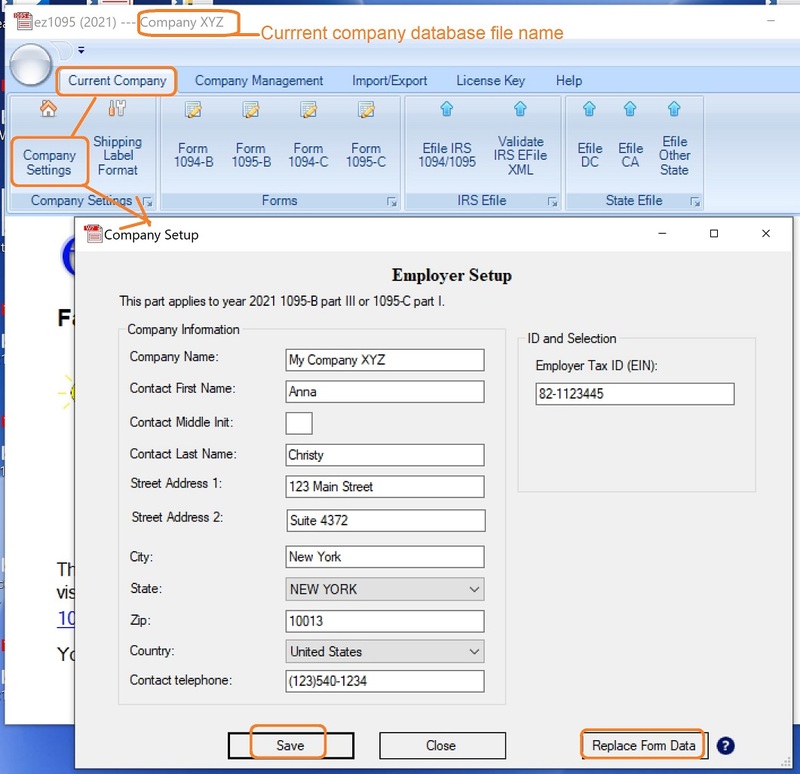 - Start ez1095 software, click the top menu "Current Company" then the sub menu "Company Settings" to view company set up screen. - Click the SAVE button to save the change. or you can import ACA form data from the XML efile documents. 3.1 Click the top menu "Current Company" then the sub menu "Form 1095-C" to view 1095C screen. 3.2 Click the bottom link "Add 1095 C" to add a new form, enter data and save it. 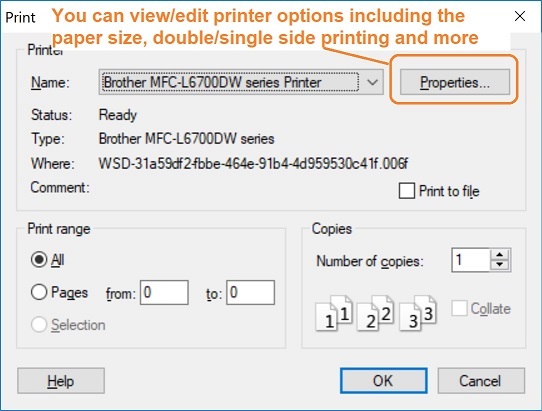 4.1 Select forms and click the PRINT button. 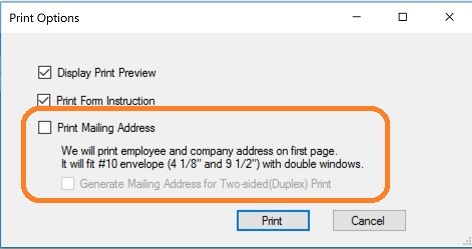 4.2 You can print optional shipping address to mail forms with #10 double windows envelopes easily. click the top menu "Current Company" then the sub menu "Form 1094-C" to view 1095-C screen. Note: ez1095 software can print both 1095-C and 1094 C forms for IRS and recipients on white paper. No pre-printed form is needed. 5. 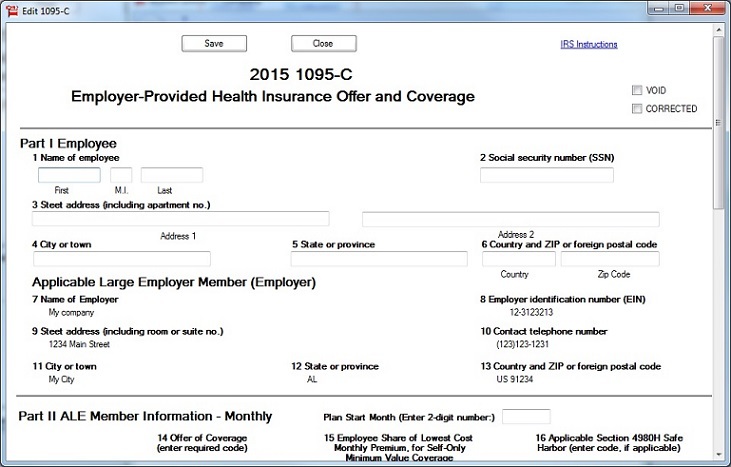 How to eFile ACA forms? 7. How to generate test scenarios EFiles? 8. How to validate XML files before submitting to IRS? 9. How to file 1095 and 1094 correction? 10. How to efile 1095 and 1094 replacement?